Documentary pioneers David and Albert Maysles produced a number of sponsored projects in the years prior to their groundbreaking feature Salesman (1968). Among them were two very different experiments in film portraiture, one focusing on IBM in its early-60s heyday, the other following Truman Capote in the wake of the success of In Cold Blood. Commissioned by the corporation, IBM: A Self Portrait attempts, as an opening voiceover argues, “to search for the particular character of this company.” At the time, IBM boasted offices in nearly 100 countries, and had recently transitioned into becoming the global leader in new digital technology—by 1964, 70% of the world’s computers were made by IBM. The Maysles, however, choose to look at the people behind the machines, interviewing a wide selection of “IBMers,” ranging from assembly-line workers, to instructors in IBM’s classrooms, to its highest-ranking executives, including a brief tour with an IBM salesman that presages their later work. In sharp contrast to current, more calculated modes of corporate self-presentation, the Maysles evoke an institution through everyday minutiae and the individual psychologies of its workers. With Love From Truman—originally titled The Nonficiton Novel: A Visit With Truman Capote—was shot for National Educational Television, a precursor to PBS. One of the Maysles’ earliest collaborations with editor Charlotte Zwerin, With Love is built around a number of intimate conversations with Capote about his life and writing. 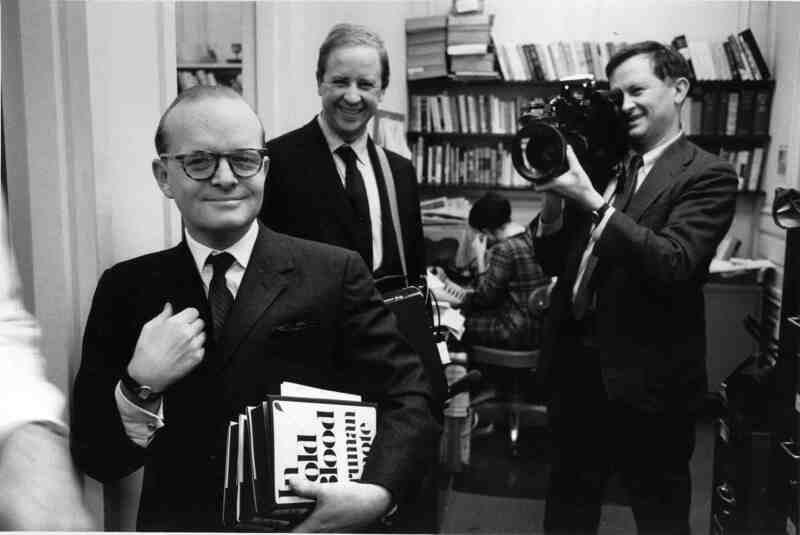 Tellingly, the author says that with In Cold Blood he sought to achieve a “synthesis of journalism and fictional technique” in order to prove “that you can produce a work of art out of factual material that has the same impact that a work of literature does.” Capote's ideas would prove influential for the Maysles as their style continued to evolve. Seen together, these films reveal a transition beyond the changing circumstances of their respective subjects: nonfiction filmmaking on the cusp of new narrative forms. Followed by a conversation with Maysles and filmmaker Matt Wolf.